I am an Assistant Professor in Philosophy at Durham University. I’ve written a lot on space and time in the history of philosophy, from the seventeenth to the twentieth century. Along the way I’ve researched many other issues in metaphysics, including substance, change, idealism, process, identity, and God. In 2018 I published two books. 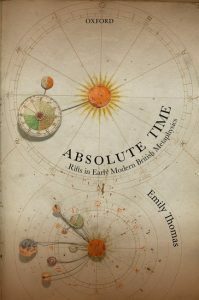 Absolute Time: Rifts in Early Modern British Metaphysics (Oxford University Press) explores the view, popularised by Newton, that time or duration is a kind of thing. 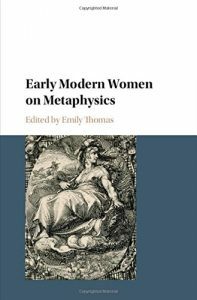 Early Modern Women on Metaphysics (Cambridge University Press) recovers the views of women philosophers who have traditionally been neglected in the history of my discipline. Elsewhere I authored the first scholarship ever on the philosophy of Hilda Oakeley, and of May Sinclair. Over the last few years I’ve become fascinated by the philosophy of travel. What is travel? What is a map? What can travel teach philosophy, and how has philosophy affected travel? My popular book on these issues is forthcoming with Oxford University Press. Recently I’ve begun a new research project, into early twentieth century metaphysics of time. Does the present moment move? Is the future real? Does time have a direction? At the turn of the twentieth century, why did British philosophers become so worried about these questions? From 2020, this work will be supported by an AHRC Leadership Fellows grant (£250,000). I’ve written popular philosophy articles and blog posts, and appeared on various radio shows and podcasts (see the Media page for details). In 2016 and 2018 I was shortlisted for the BBC New Generation of Thinkers competition. In 2018 I edited two blog series, on “Time: Exploring its Philosophy and History” and on “Impact and Engagement for Early Career Philosophers”. I’ve produced a couple of Youtube videos: the animation “Tangling Time with Its History” and the documentary “What is Absolute Time? Henry More on Time, God and Mountains”. Previously, I studied at Christ’s College, Cambridge for my PhD (2013). Afterwards I held a postdoc at the University of Groningen (2013-2016). My earlier work has been supported by a Netherlands Research Council “Veni” grant (€250,000) and a British Academy “Rising Star” grant (£9,000). I am a Fellow of the UK’s Higher Education Academy. 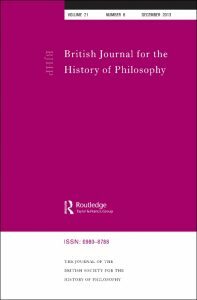 I sit on editorial or advisory boards for the British Journal for the History of Philosophy, the International Association for the Philosophy of Time, and the Bloomsbury Encyclopedia of Philosophers. At Durham, I am a Senior Fellow of University “Castle” College. For my popular books I am represented by United Agents. If you’d like to get in touch or request a copy of my CV, you can email me at emily.e.thomas [at] durham.ac.uk or use the form on my contact page.